Under the t-shirt are two letters from Green Beans Coffee. 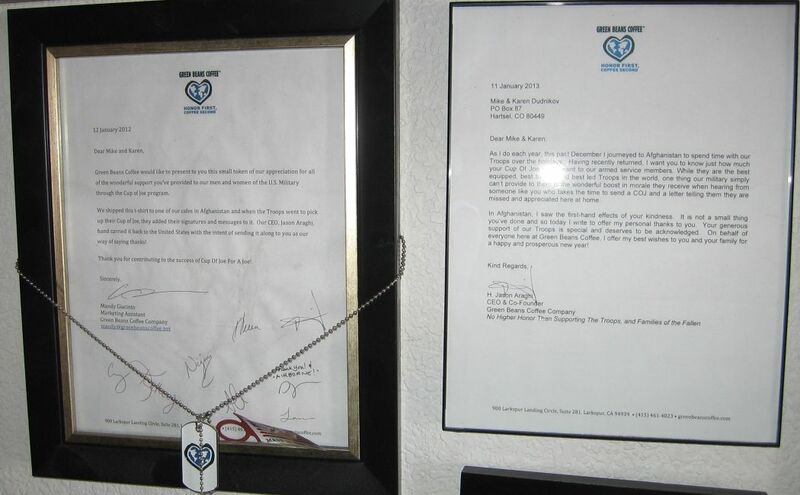 One accompanied the framed t-shirt explaining how and where it got signed and the other is a general thank you letter. Around one frame is draped a Green Beans Dog Tag that says "Honor First, Coffee Second".